PLUS you can get $15 Kohls cash for every $50 purchase you make. (Ends today!) AND shipping is FREE! 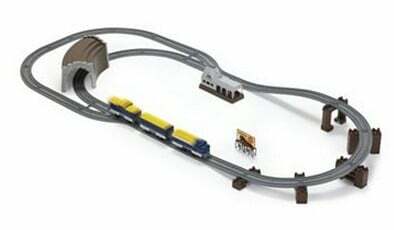 You can get the Discovery Kids Motorized Train Set for just $24.99 (reg $59.99). After 20% discount they will be just $19.99! Motorized train automatically speeds along the railway. Train tracks are compatible with most toy train cars.